The SpaceSuite team is pleased to announce the extension of its commercial offer with the release of a new and self-consistent set of modelling tools to handle the whole radiations analysis process: the CAD editor EDGE 2.2.0 and the radiation transport analysis tool MoʘRa 2.0.0. 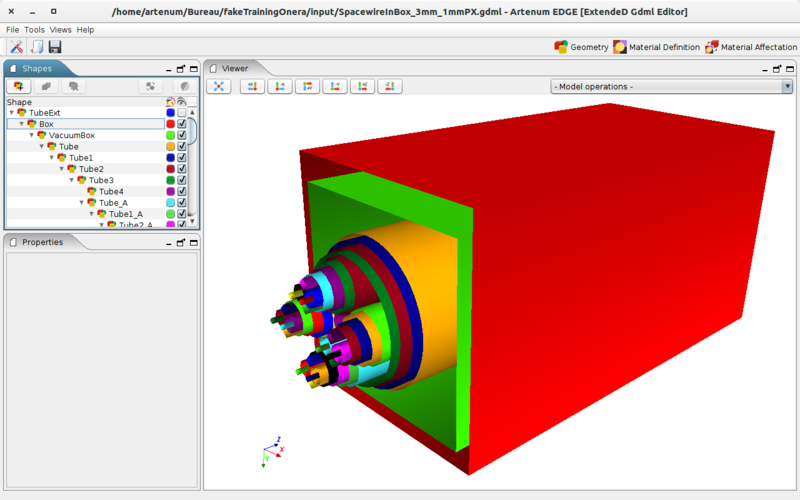 EDGE (ExtendeD Gdml Editor) is an easy-to-use GDML editor developed by Artenum and allowing to load and edit GDML geometries. It provides a powerful and flexible CSG model, fully compliant with the GDML CAD format, used by numerous particle-matter interactions analysis tools based on the GEANT-4 library. For more information on this software, please consult the EDGE web page. MoʘRa (Modelling Of Radiations) is a user-friendly and easy-to-use software that helps modelling the radiations transport using GEANT-4 based models. 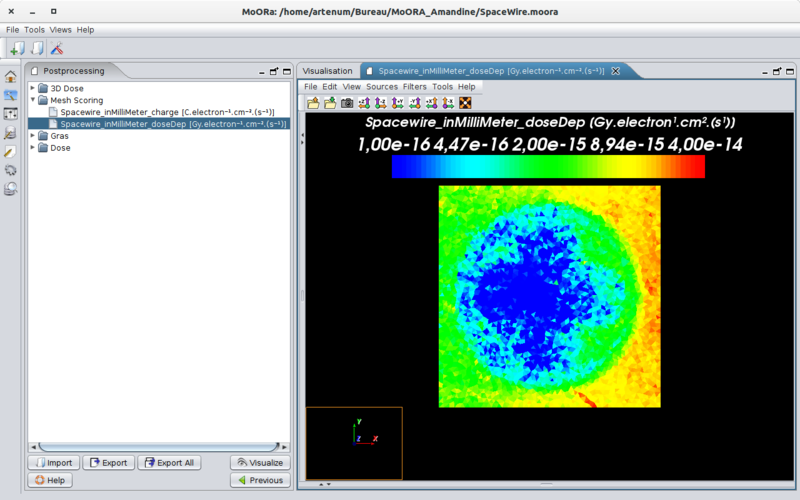 As of today, MoORa is interfaced with the GRAS tool (GEANT4 Radiation Analysis for Space) developed by ESA. MoORa allows the analysis of radiations transport in 3D geometrical models. The definition of the geometry may be in GDML format and can be realised by using EDGE. MoORa allows the setting of a GEANT-4 based model through several parameters such as the definition of the source and the Gmsh scoring in which the results of Total Ionising Dose (TID) should be computed. Once all these parameters are defined, MoORa generates a macro file containing the necessary GEANT-4 command lines to perform a radiation analysis (.mac file for example). This file is editable and the user can modify or add some command lines if needed. At the end of the simulation, the user can visualise in 3D its results through the post processing panel. Please notice that the ESA/GRAS kernel is not provided by SpaceSuite and a request should be addressed directly to ESA. Please contact us for further information. For more information about its functionalities, please consult MoORa web page. Both of these applications are available through an end-user license or assistance contracts. For more information about prices and applicable reductions, do not hesitate to contact us or to request to receive our DOP (Detailed Offer and Pricing) document.